This article is about the city. For the barony, see Lainlyn (barony). 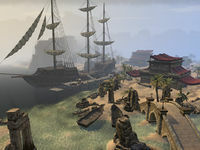 For game-specific information, see the Daggerfall article or the ESO article on Tava's Blessing. This page was last modified on 22 March 2019, at 16:50.